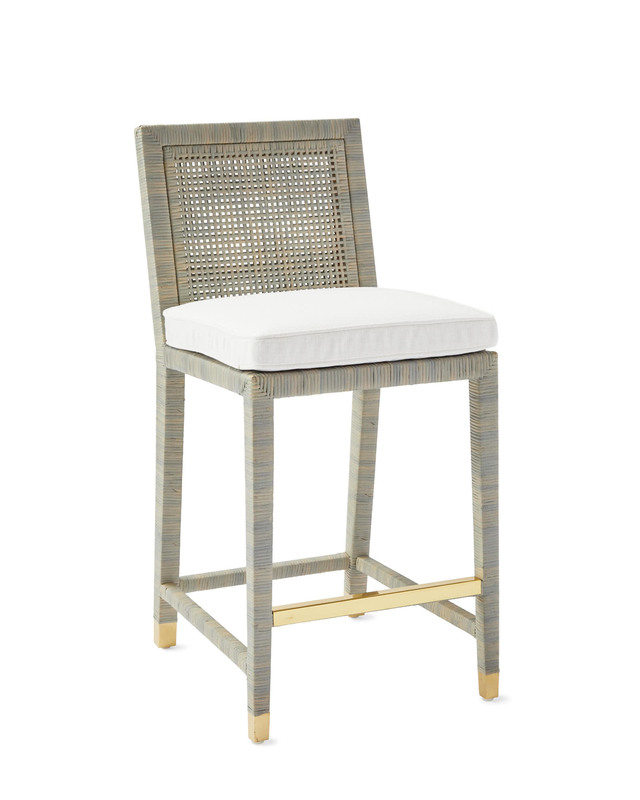 Balboa Counter Stool - MistBalboa Counter Stool - Mist, alt="Balboa Counter Stool - Mist, "
Print We’ve always admired rattan and its power to elevate without a lot of fuss. 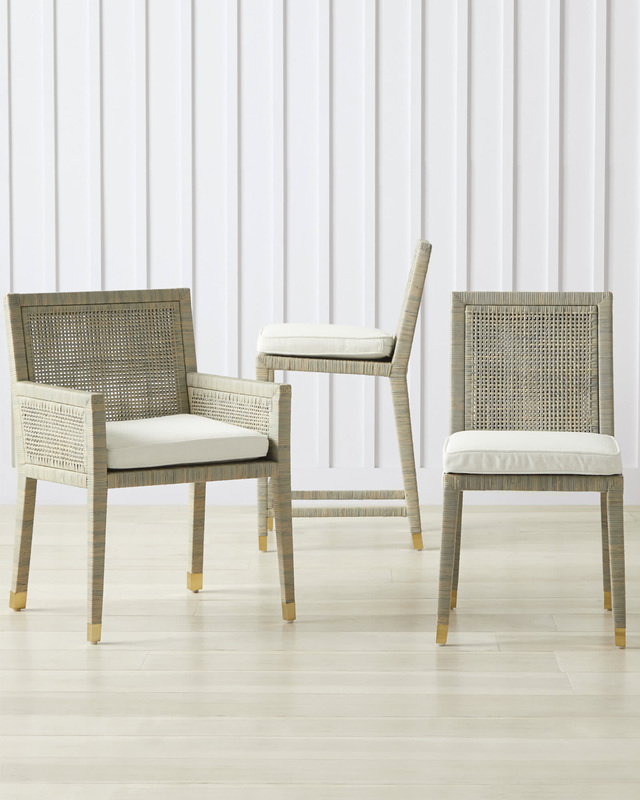 Here, artisans start with a beautifully proportioned mahogany frame and weave the rattan by hand to achieve perfect texture. 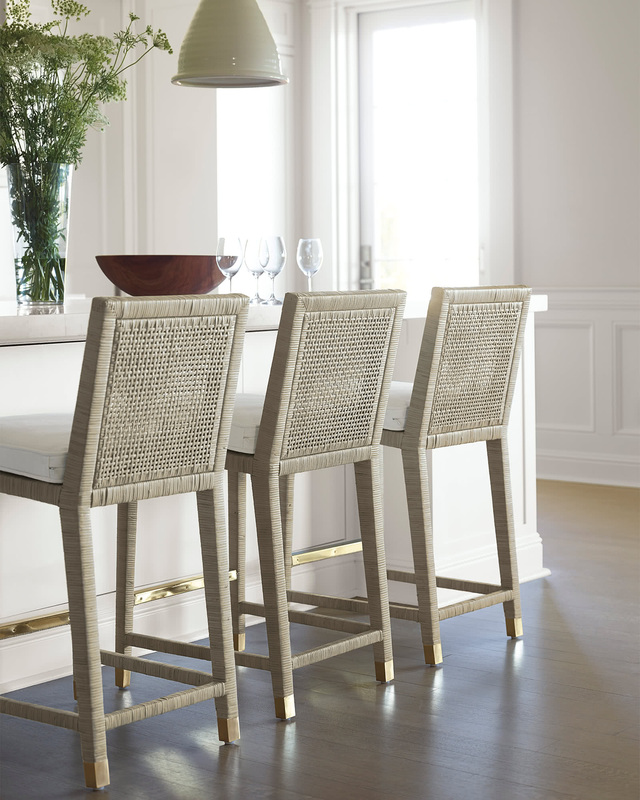 Our exclusive finish captures rattan’s nuanced depth, highlighting the artistry of the weave. 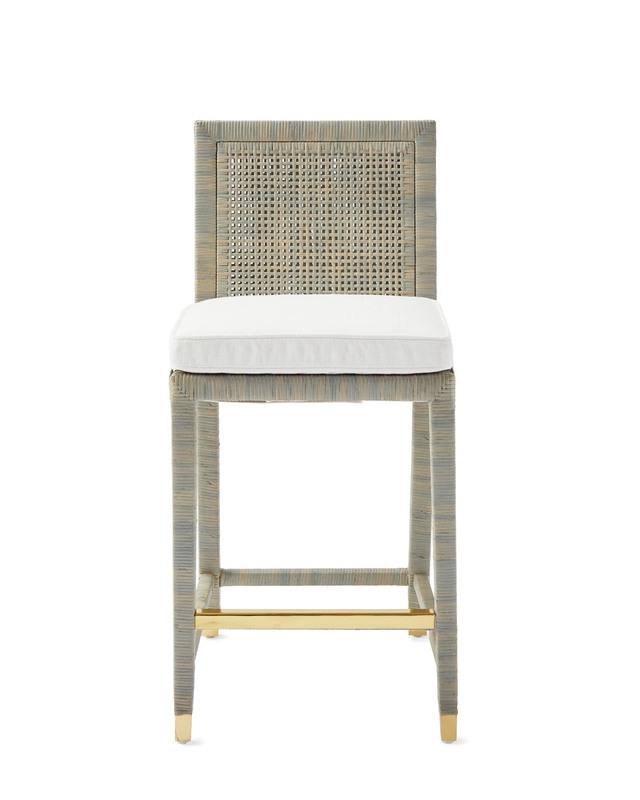 Everything about this piece reflects thoughtful design – from the gently angled lines to the brass end caps on each leg. Comes with a tailored cushion. 18”W x 22.5”D x 38.5”H overall. Seat: 18”W x 17”D x 24.5”H.